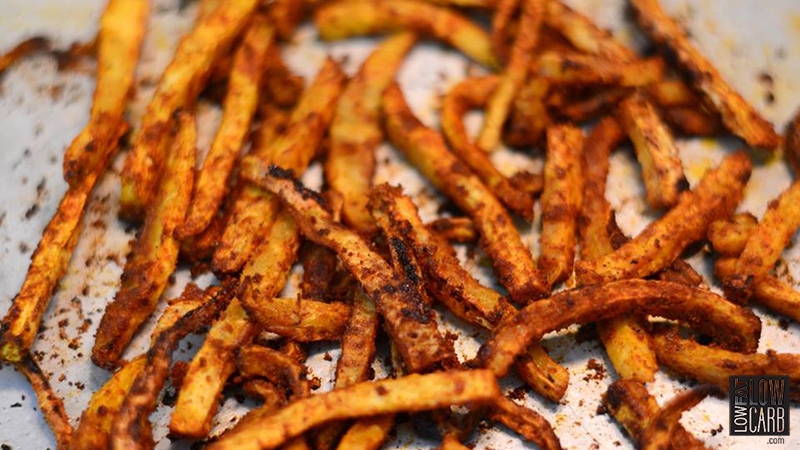 Preheat oven at 450F, place the fries on a baking sheet and sprinkle seasonings on top, mix well. Place in oven for approximately 30 minutes in the oven, turning half way through. Once the fries are well cooked, drizzle with oil.